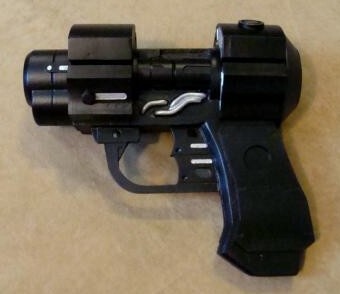 This pistol is from the anime, Gantz. Its resin cast in 10 separate pieces. Its a large pistol and has some weight to it. Available in both kit form and a completely assembled and painted version.